Last month, Disney announced that Kevin from Disney•Pixar’s “Up!” would soon make an appearance at Disney’s Animal Kingdom. We’re happy to report that she has finally arrived! 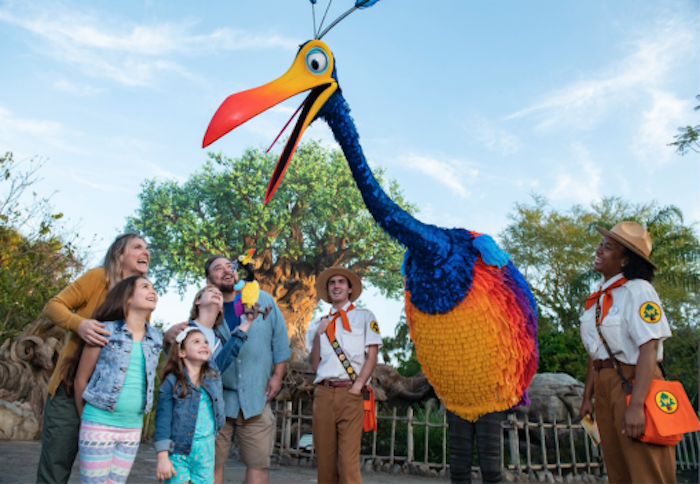 Kevin recently migrated North from Paradise Falls to Disney’s Animal Kingdom and has been spotted roaming the walkways of Discovery Island. Disney’s Animal Kingdom plays an important role in wildlife conservation and education. According to Disney’s Animals, Science, and Environment team, one out of five birds—over 2,000 species—migrate from one geographic location to another each year. Many of those birds pass through Walt Disney World during their migration. Purple martins actually spend the whole winter at WDW in order to raise a family before returning to their home in Brazil. How cool is that?! To learn more about Disney’s environmental and wildlife conservation efforts, click here. Guests will also be able to find this cute plush at select merchandise locations at Disney’s Animal Kingdom starting mid-February. 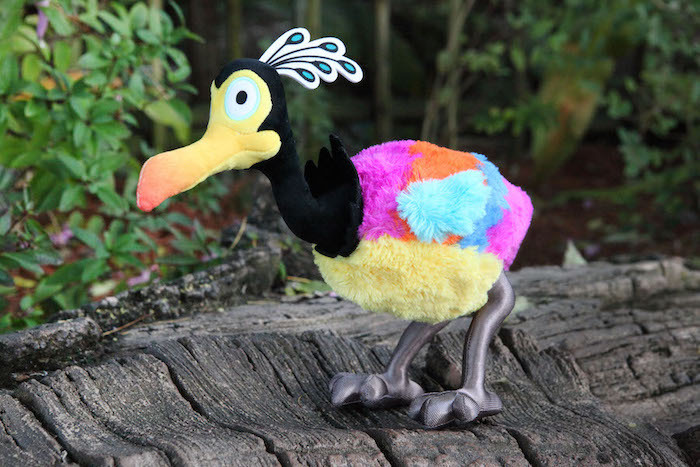 While searching for Kevin at Discovery Island, keep an eye out for this plush at Island Mercantile and Discovery Trading Co.
A new plush will be available at select merchandise locations at Disney’s Animal Kingdom starting mid-February. Photo courtesy of Disney Parks Blog. Do you love Disney’s Animal Kingdom? Subscribe today!